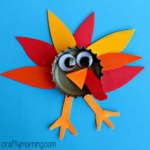 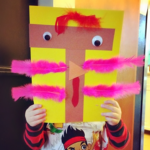 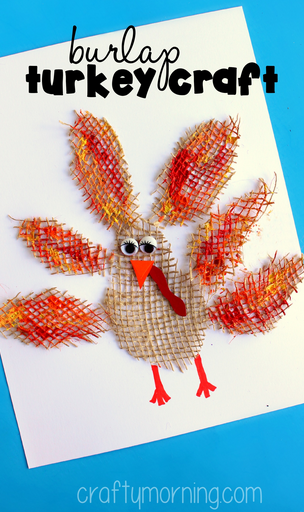 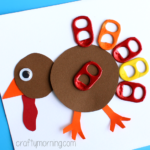 Make a burlap turkey craft with your kids for a Thanksgiving art project! 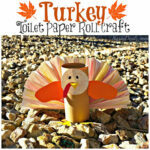 It’s way more creative then just doing the regular old handprint and toilet paper roll turkeys. 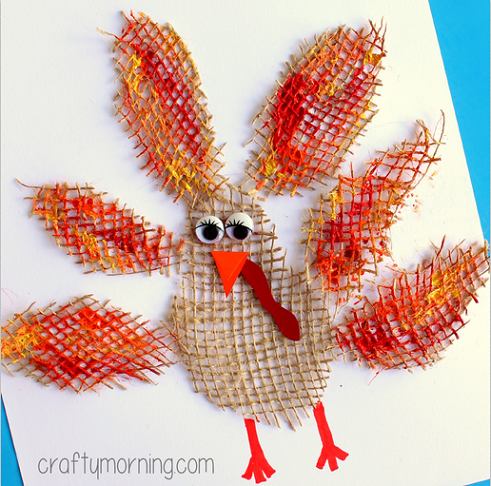 I had bought a roll of burlap at my local Ace store awhile back and thought it’d make some great texture on this little turkey. 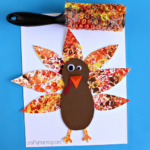 Start by cutting 6-7 turkey feather shapes out of burlap material. 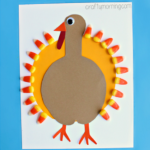 Do note that it frays very easily but it doesn’t really matter when you glue it down. 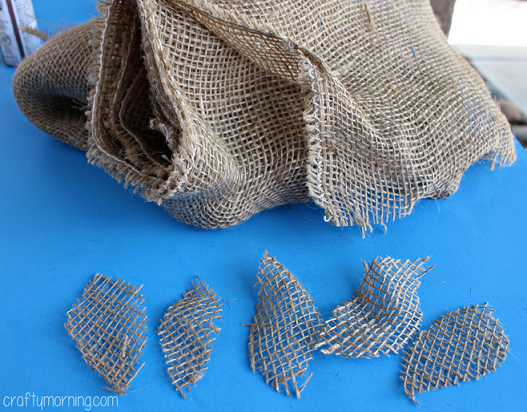 Cut out the main body shape as well with the burlap. 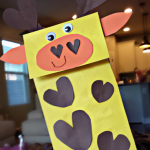 Put clear glue on the paper and stick the burlap pieces to it. 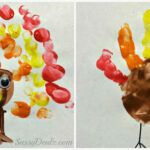 Once that dries, take a paintbrush and make the feathers colorful! 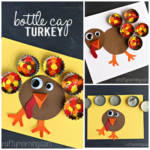 Add some turkey face features and draw on some legs.